Many leaders, managers, human resources and organisational development practitioners do not grasp the complexity of culture change. There is currently a wave of ‘culture change’ initiatives on going in organisations around the world that, whilst founded on great intentions, are more than a little sparse on much understanding on the mechanisms, processes and complexity actually entailed in changing an organisations culture. Over the last 10 or so years there has been a significant shift in the standard model for organisational change. Essentially, there has been a move from organisational change meaning structural change towards an increasing belief in the superiority of cultural change as the prime goal of organisational change. This 16 page special guide reviews the most recent research evidence around organisational culture and what it takes to change it, the myths, pulls appart the common assumptions, what it is, what it takes and helps you navigate the problems associated with culture change. The culture ownership and control myth. Assumptions about the influence of power and context. Assumptions about the simplicity of culture change. Assumptions about the homogeneity of an organisational culture. Conclusion: Organisational culture and organisational performance. 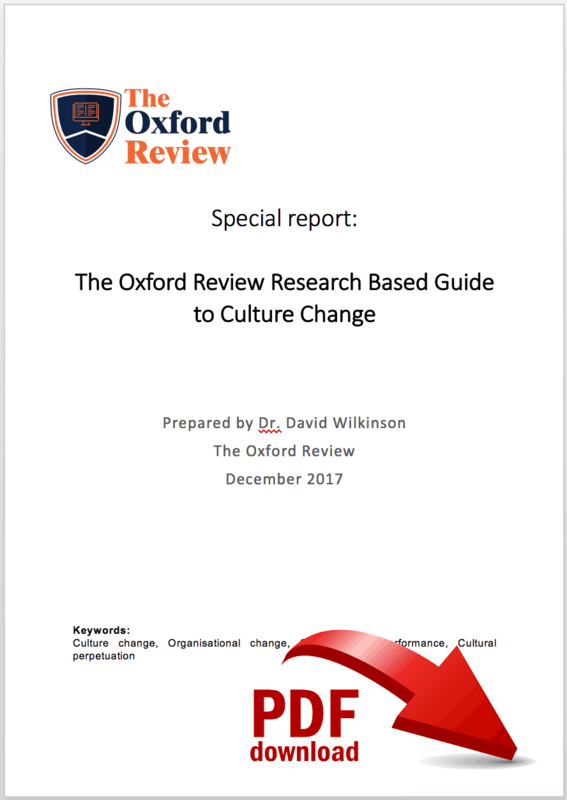 This special 16 page guide or extended research briefing, looks at the very latest research about exactly what is involved and what it take to do organisational cultural change. Apart from being incredibly useful it is in essence a really handy checklist or inventory of the factors you should be taking into account before or during any culture change initiative. This evidence-based guide is particularly useful for leaders, managers, organisational development and change practitioners, HR managers, consultants and OrgDev coaches.